ReDesign Concepts Blog: Does Your Home Tell a Story? I always say your home should tell a story through the history of the pieces you love. Maybe it's something that you grew up with that brings back fond memories or a gift from a special someone. When I travel, I like to bring back something from my trip that I enjoy looking at and sharing in my home. It could be a book, a piece of artwork or an usual item specially crafted from the place I am visiting. 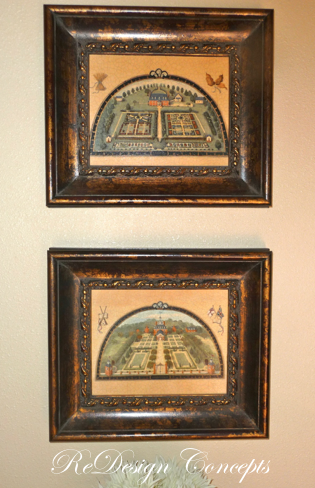 When deciding what artwork to use for the new master bath, I of course "shopped" our home first. Going with the Old World look, I didn't have a problem finding exactly what I needed as I happen to have lots of artwork in just that style. 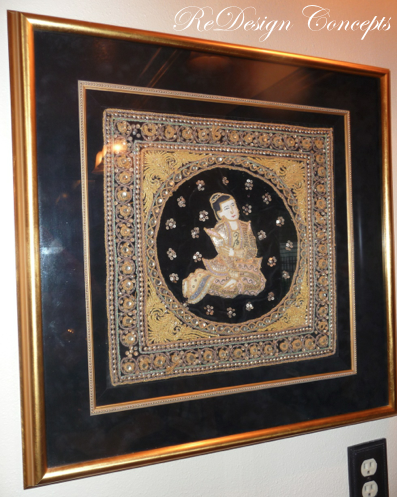 This is a beautiful Kalaga, embroidered Burmese tapestry, a friend gave me over twenty years ago from her trip to Thailand. I had it matted and framed and have enjoyed in my home every since. 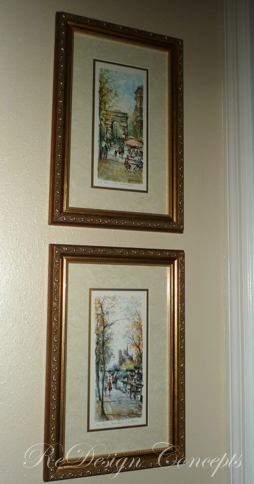 These two little canvas pieces I found in Germany and the frames are from Michaels. They caught my eye because I have a similar larger art piece (pictured below) which I have had forever and still love from Ballard Designs. These Italian Villas pieces have an interesting story behind them. 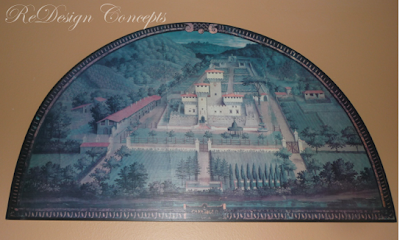 When designing villas and gardens for the illustrious Medici family of 15th century Italy, architect Van Utens would paint elaborate half-rounds of his plans for the Medicis to approve before building. So of course these were perfect for the old world feel. And of course, from one of my favorite cities...paintings Paris. 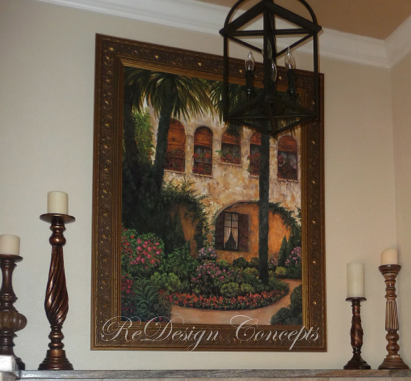 Using pieces "that tell a story" make a room more interesting. Does your home tell a story? I would love to hear!